Team performance is about relationships among team members. It’s about team communication, understanding, trust, difference, and diversity. Team leaders need to know how to get the most productivity and the best performance from every team member. This is especially important in today’s workforce when many teams are spread across the globe. Learn how to manage teams. Profiles team management solutions give managers a robust understanding of the core characteristics of every employee, no matter their location. Profiles team management tools are designed to give an analysis of a team’s dynamics and provide information and resources for developing, managing, and enhancing all types of teams, even remotely. Identifying the strengths and weaknesses of each team member. Assigning duties to team members based on their skill sets. Identifying which team members have the ability to be team leaders. 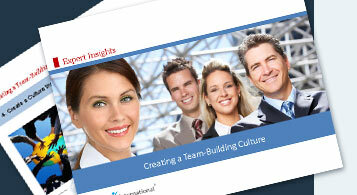 Providing new approaches and practical tips for team success.